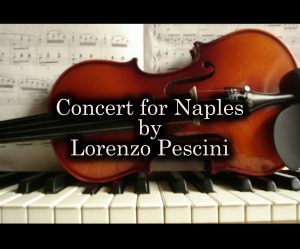 “Concerto for Napoli” is the new music video by Lorenzo Pescini, pianist Florentine composer. The city of Naples and the beautiful places of the Amalfi coast have become a source of inspiration for a romantic and beautiful piece for piano and cello. The song entitled “Reflections of light” is performed by Anna Fasanella and Tina Volpe, two great professional musicians. Naples is a very beloved city but also much discussed. This video wants to be neither a tourist video or a journalist’s report. This video is intended as a small tribute to music one of the most beautiful cities in the world.